Given all the activity and travel over the months of July and August I’m quite surprised that I managed any reading at all. Not much actually, but certainly more than originally anticipated. Reviewing was another matter altogether as I found it extremely difficult to sit still long enough, especially on the many glorious sunny days, to actually write reviews for all the books read over the course of both months. In all, I managed to read five books of which I reviewed three. 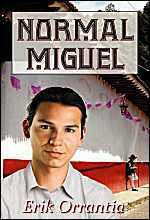 Two books read were from new to me authors, Tigers and Devils by Sean Kennedy and Normal Miguel by Erik Orrantia, the latter of which I reviewed for Rainbow Reviews. 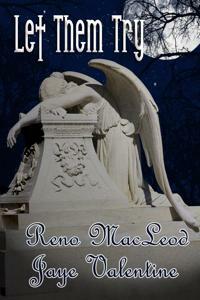 I also read the first book in a new series by two of my favourite authors Reno MacLeod and Jaye Valentine entitled, Let Them Try, which I reviewed for Three Dollar Bill Reviews. All of the books read over these two months range within the good to very good categories and some are excellent. With autumn just around the corner (although you wouldn’t know it with the 40° Celsius sweltering heat of this past week) and the cooler weather setting in soon I hope to fall back into my natural state of reading and reviewing more. 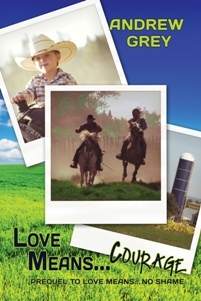 Spurned by his father and driven from his home, Stone Hillyard is struggling to find shelter in the Michigan winter when he lucks upon the horse farm run by Geoff Laughton and his partner Eli. They take him in, warm him up, and give him a job working with their No Boundaries Therapy-Riding Program. A drunk driver left Preston Harding unable to walk, and after months of hard work, his therapist recommends Geoff and Eli’s program. But Preston’s anger and arrogance nearly get him kicked out until Stone intercedes on his behalf, despite Preston’s insults. It’s a small act of kindness that helps open Preston’s eyes. Stone and Preston will support each other as they face their families’ disapproval and fight old secrets. 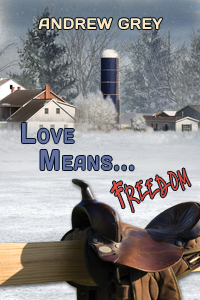 They’ll learn – sometimes the hard way – just how love can mean freedom for them both. 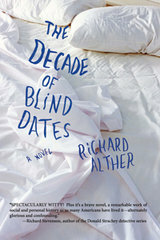 March was a relatively productive reading month with two exceptional stories, The Summer Between by Andrew Binks and The Decade of Blind Dates by Richard Alther. 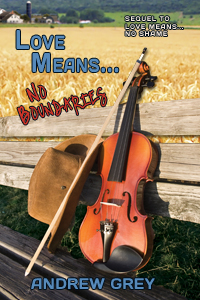 I also read and reviewed the latest installment of Andrew Grey’s Love Means Series, Love Means … No Boundaries and a sweet western/cowboy m/m romance by Leiland Dale entitled, When The Blue Bird Calls. Joey Sutherland has found a home with Geoff Laughton and his partner, Eli, living and working at the farm that has become a refuge after a motorcycle accident left him with a scarred face and a lot of insecurities. When Geoff’s aunt Mari convinces them to take in a musician from the National Youth Symphony, Joey is reluctantly roped into picking him up, already anticipating the disgust he’ll see on the man’s face. But Robert Edward Jameson surprises him: he’s outgoing and friendly, he’s willing to try just about anything around the farm, and he’s blind, which goes a long way toward easing Joey’s nerves. 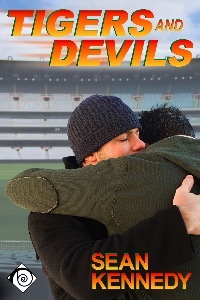 Joey and Robbie become inseparable and discover the beginnings of love. 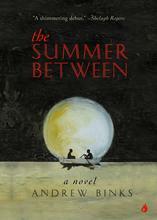 But summer is coming to an end, and Robbie will return to his home in Mississippi, where his family and servants see to everything he could want or need. 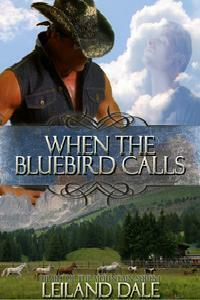 Joey can only hope Robbie will take a chance on love and escape the boundaries that have shaped his sightless life. Out of work again, Len finds a job at Cliff Laughton’s sorely neglected farm. Cliff is still mourning his wife, struggling to raise his son, and has little enthusiasm or energy left for work. Len immediately begins to whip the farm – including the two Laughtons – into shape. Working side by side, Len and Cliff grow ever closer, but loving another man takes a lot of courage. They’ll have to stand together as they face a faltering business, threatening drought, misguided family, and Midwestern prejudices to protect what might be a lifelong love. 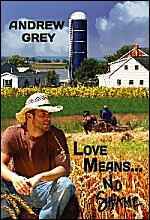 Geoff is in the city, living the gay life to the hilt, when his father’s death convinces him to return to the family farm. Discovering a young Amish man asleep in his barn, Geoff learns that Eli is spending a year away from the community before accepting baptism into the church. Despite their mutual attraction, Geoff is determined not to become involved with him, but Eli has discovered that Geoff shares his feelings and begins to court him, neatly capturing first Geoff’s attention and then his heart. Their budding relationship is threatened by closed-minded, gossipy relatives and the society at large, a whole new world to Eli, and he must decide whether to return to the community, his family, and the world and future he knows or to stay with Geoff and have faith in the power of love. Hello! Welcome to Indie Reviews. My reading tastes are quite eclectic and while I read it all, I will mostly be reviewing LGBTQ fiction on this blog. Jeffrey Ricker – Writer. Mostly.